A wine which a lucky man encounters with only a few times in life! There is no middle ground with Babić. It is one of those varieties that deliver either a mediocre wine or an ultimate unchallenged experience. We have been witnessing this for decades because the popularity and market demand of Babić has never lacked, but the quantity of really good labels could always have been counted only on one hands’ fingers. Throughout time, the only constant in the category of excellent was Gracin’s Babić, while others mostly recorded occasional flashes and falls, but usually showed severe averageness. However, the situation has changed dramatically for the better over the past few years. Appeared Matošin, a supreme Babić at an affordable price, which should be an integral part of every ambitious wine list, after which there’s Prgin with a fairly solid wine. The new brand Testament also shows promise. It inherited the vineyard of the famous brothers Kursan, former co-operatives of Šibenik Vinopod. We will soon write about these wines on the pages of the Good Food magazine within a bigger topic dedicated to this variety. However, today our attention was hindered by another, completely extra-terrestrial wine, one of those which you encounter only once or a few times in life. 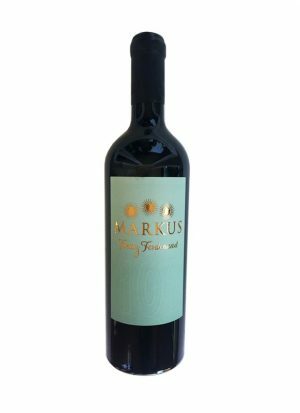 The wine is called Markus Franz Ferdinand, and it is the Babić of passionate enthusiast and the pernicious perfectionist, Zagreb’s vintner “garageman” Danijel Szaba. The secret of a good Babić is not in fruitfulness or aroma, characteristics that make many varieties attractive marketwise, but rather in concentration, minerality, depth, smooth tannins, and living acids that balance the Mediterranean spirit of wine. The highest quality of the variety Babić is the capability of keeping its purity and liveliness in the hot Mediterranean climate. 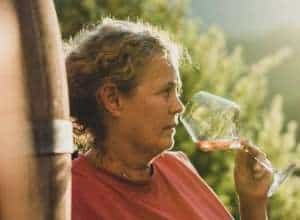 As if it is naturally immune to being overripe and jamlike, characteristics that in warm and dry areas seriously endanger the balance of varieties such as syrah, merlot, cabernet sauvignon or even plavac mali. The harder the conditions in which it develops, the better are the wines Babić has to offer. The rough and hollow nature near Primosten, covered with sun-washed stone, with periodically jealously preserved pockets of earth, was actually created for Babić. We see no better purpose for this piece of soil on the Earth’s sphere than to shelter this special variety. 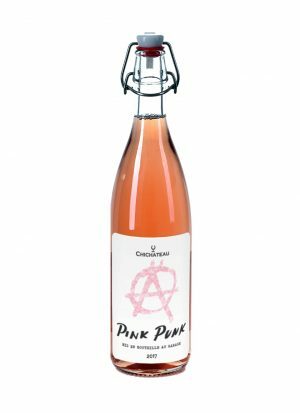 When, on the other hand, carried with the desire to make it more accessible to the masses, winemakers relocate this variety into richer and more fruitful fields or attempt to raise yields, it loses its unique character. When it is tainted by wire lifting and school-nurturing breeding, its depth and intensity fade out and it becomes mediocre. In its true and only homeland, where it provides the most, in the microcosm of Primorje’s vineyard, there are more distinct positions than others. One of these is Podgreben, a vineyard over a hundred years old, which was planted in 1914 and was dedicated to the memory of the successor to the throne Friar Ferdinand, who was assassinated that very same year. This vineyard, after a full century of bearing fruit to the family who planted it and managed to preserve ownership over it for all that time, continues to produce. 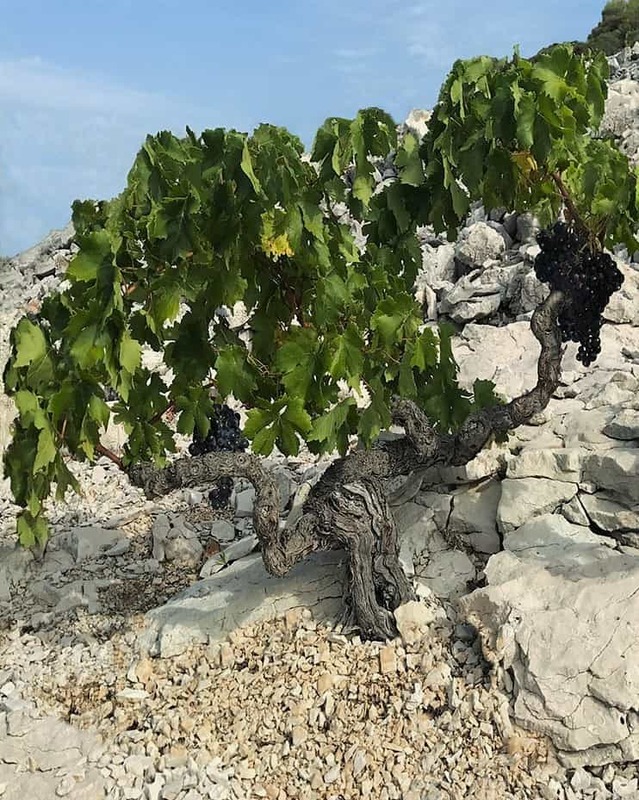 The old vines have rooted themselves in the karst and stone-cracks hundreds of feet deep and draw nutrients from those depths when there are no nutrients anywhere else. Huddled in the bush during the hot summers, their large and thick leaves shield from the hot sun only three to four grays, the most that can be “born” under these conditions. Grape quality is immense. It is a pure essence of Babić that Danijel Szabo unmistakably recognized, bought, specifically extracted and prepared from only three hundred bottles of unforgettable terroir wine; from vines, branches of which from 1914 to the present have been cut by several generations of the same family with the same Austro-Hungarian scissors with the engraved label of the year. 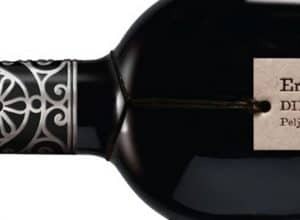 The content of the bottle is not just one of the best red wines of Dalmatia in history, but also living history, the testimony of the life and death of generations, the fruit of love of caring people, and the attention of good laborers. A unique experience. This is the highest rating we have ever given to one dry red Croatian wine ever. Although it is vintage 2015, there are still years ahead for that wine, probably even a couple of decades of life. It’s an exceptional specimen of wine with collector’s worth, which we do not expect to be in its best edition for another three to five years. It was tasted in comparison with other recent Babićes, which it managed to outshine by quality so much that their tasting will have to be repeated soon in more equal conditions, with similar wines, where they will not seem as hollow and skinny cousins of this perfection. 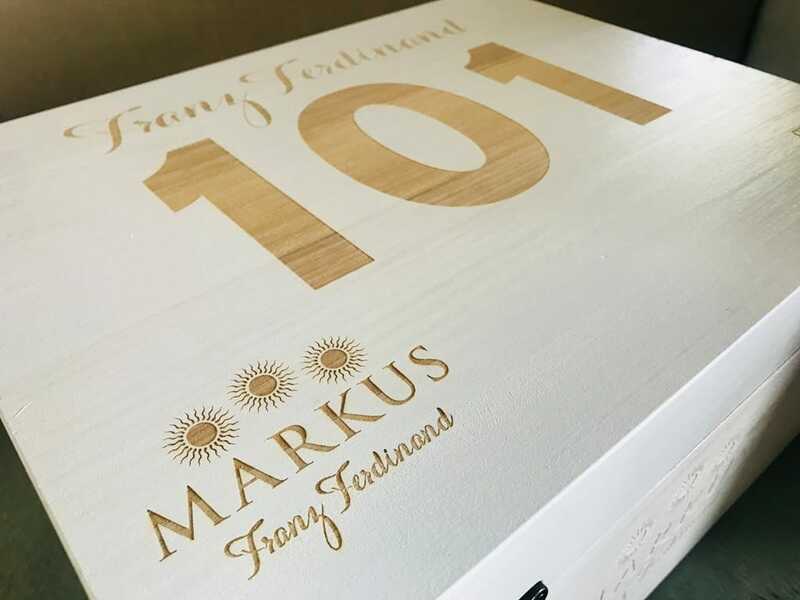 Markus Franz Ferdinand’s concentration and depth are crisp; there is a strong black cherry fruitfulness present, whereas in the background, it is accompanied by a fine smokiness and griotte. 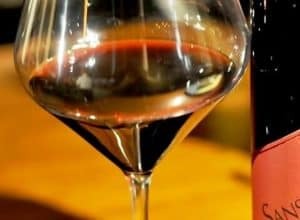 Tannins are firm but well-balanced; acidity is present, but brought to a medium; the balance between fullness and vividness is ideal, the duration is measured in minutes, and the aftertaste is intense and lifelike, quite dry, with an impression of roughness and salty minerality on the finish. Drink it with steamed steaks or just with a mature and salty cheese in the evening, in the company of those who know how to appreciate fine wine just as you do.